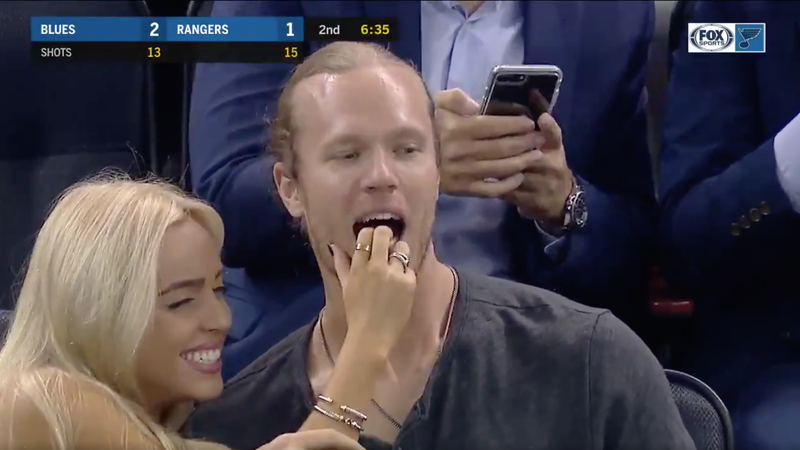 You may think that you’ve been enjoying hockey the right way—maybe by yourself or maybe in a group of friends or maybe with a significant other, but no matter what, without another person’s hands in your mouth. Maybe someone else’s tongue in your mouth, if you’re caught on the Kiss Cam or just get really drunk or something, but never someone else’s hands. This is how you enjoy hockey. Without mouth hands.